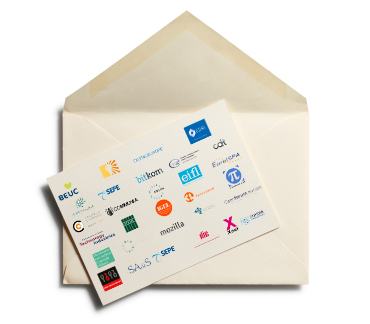 OFE together with other 29 signatories, counting trade associations, libraries, community organisations, consumer organisations and more, signed an open letter addressed to the Commission. In this letter we are asking for a Digital Single Market enabling creativity and innovation. We ask for an ambitious reform that is fit for purpose in the digital environment and that upholds and strengthens fundamental principles, such as the limitation of intermediaries’ liability, rights of citizens to freedom of communication and access to knowledge. The aim should be that of reforming copyright law without curtailing Internet freedoms, which allow for basic every day activities of online users, such as posting, linking, embedding photos or videos online. The EU copyright law expected in autumn must allow the EU to lead the global digital economy and create a legal environment where creators, consumers and businesses alike can flourish in the Single Market.